It looks like Apple CEO Tim Cook may have taken a cheeky swipe at Amazon's Kindle Fire tablet during the Goldman Sachs Technology and Internet Conference. When posed a question regarding the tablet market, Cook responded: "Price is rarely the most important thing. A cheap product might sell some units. Somebody gets it home and they feel great when they pay the money, but then they get it home and use it, and the joy is gone." He went on to say: "The joy is gone every day that they use it until they aren't using it anymore. You don't keep remembering 'I got a good deal' because you hate it." As with any company representative Cook does not mention names of any specific tablet competitors, but with his focus on low cost devices we can assume his statement is directed mainly at the Kindle Fire. However Cook's statement is not soley aimed at Amazon's offering but seems to suggest that Apple doesn't really consider any tablet a threat to the iPad, although its rigorous legal action against Samsung makes us doubt that very much. 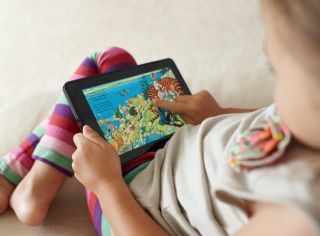 We're yet to see the Kindle Fire hit UK shores but if offers up a different experience to the likes of the iPad 2, with its lower price point resulting in a slight compromise on features – so is it really fair to compare it to the high-end iPad range? Make up your own mind – check out our hands on video of the Kindle Fire below and let us know if you think Cook has a point.